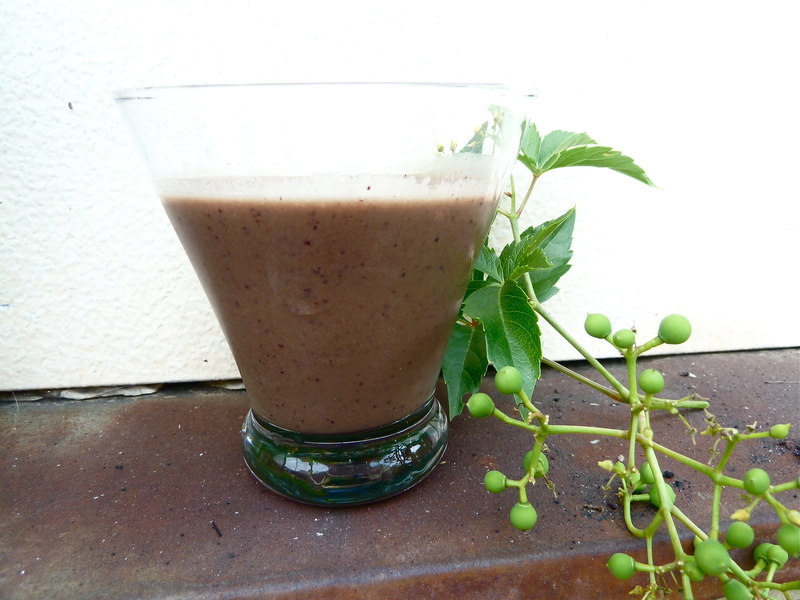 Peaches n’ Blueberries Smoothie with Coconut Water – .rebel grrrl living. The healthy living world is wild about coconut water. You can find a variety of sources that report the magic liquid can cure everything from dehydration, to lack of potassium, to bad hair days (okay, maybe not that last one). I just heard a friend proclaim she wished she could have coconut water on tap. And there actually is real evidence (like, science! not just my fellow fitness and health enthusiast bloggers!) that says that coconut water really does rehydrate and replenish electrolytes. And it is, indeed, packed with potassium. Hydration and electrolytes are very important all the time, but especially during the kind of heat wave most of the US has been experiencing. I think coconut water tastes disgusting. I could use coconut water in SMOOTHIES! And probably wouldn’t taste it very much! And still reap all the benefits! 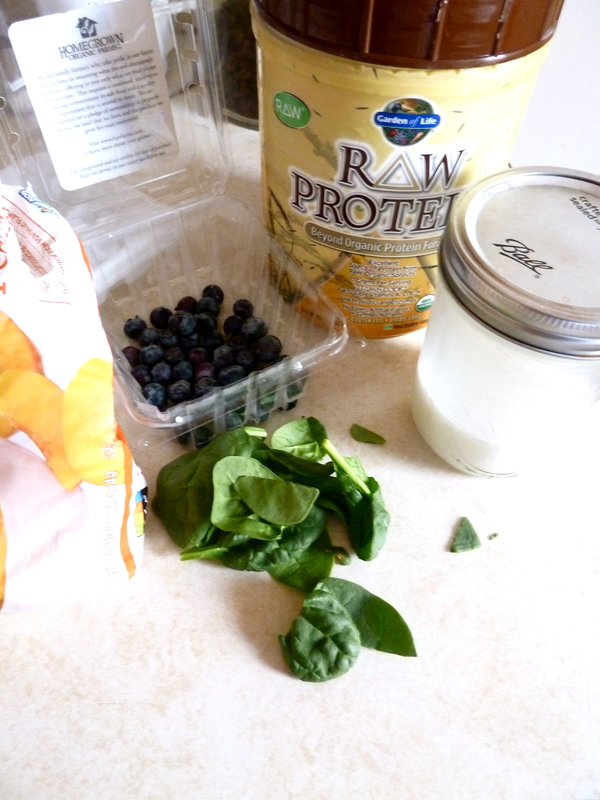 And so it was: the Peaches n’ Blueberries Smoothie with Coconut Water. 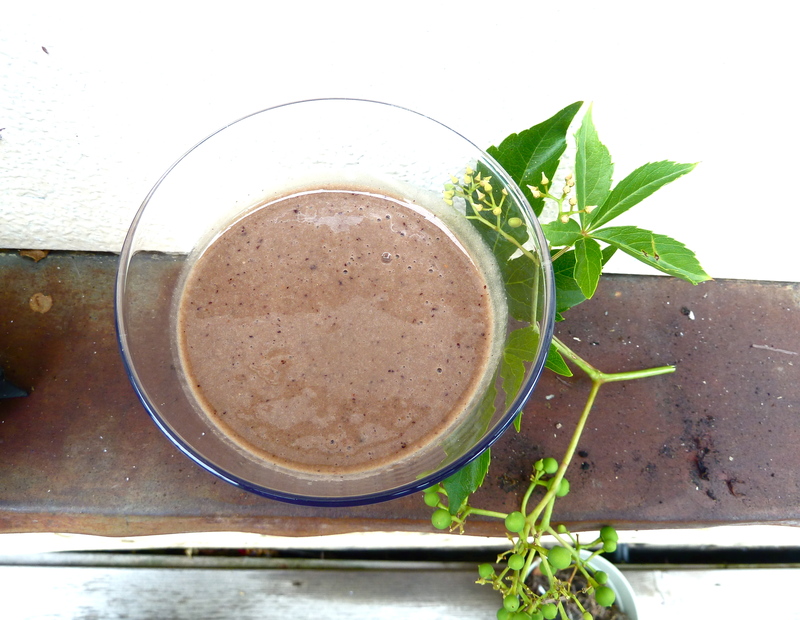 This smoothie is refreshing, hydrating, and doesn’t taste like coconut water. Win, win, win. Put all ingredients into a blender. Blend. Pour, drink, enjoy. Feel hydrated and electrolyte’d. How do you feel about coconut water? Pro or Anti? What’s your favorite summer smoothie? You don’t like coconut water? *GASP* Haha no, I’ve heard a lot of people don’t. You should try fresh coconut water from a young thai coconut! It’s amazing- once you try that the rest of the coconut waters taste fake and weird. I have to agree with Gabby, as someone who grew up with coconut water straight from the coco with a straw, the boxed/bottled stuff tastes reaaaalllly weird. But! coconut water is great for the summer and Pitta-pacifying (which is great for workout rockstars such as yourself! ), according to Ayurveda. and since everything changes with the seasons, coconut water is not good for the colder times, as coconut is SUPER cooling (that is why it grows so plentifully in hot climates) and dampens your digestive fire during cooler seasons. Agreed on weird packaged coconut water. BUT after reading this I did buy some and put it in a smoothie with spinach, banana, pineapple, a few raspberries and some coconut milk. Yummy!!! I do not like coconut water either. I have used it as a base for smoothies, though right now I am using coconut milk regularly. Raechel, I’m spending a lazy summer day reading all your old blog posts! Anyway, have you tried various brands of coconut water? I find that they all really differ. I think I like Zico the best. I got way too much VitaCoco from Costco (I was tagging along with my mom who has a membership), also decided it wasn’t tasty, and have also been hiding it in smoothies! It’s like we’re on the same wavelength!